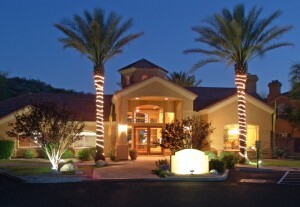 At www.LuxuryTucsonCondos.com we have a wide array of Tucson vacation rental properties and Tucson corporate rentals found in some of Tucson’s finest communities near restaurants & shopping, hiking and world class golf courses. All our Tucson vacation rentals come with fully equipped kitchens, linens, fully furnished, cable television and high speed internet access. (Please let our property managers know what community / amenities features you require with your rental because although we have all of these resort style amenities available not everyone of our properties includes all of the above options).